The other day, as he was squiring girlfriend Hailey Baldwin around the Hamptons, Justin Bieber’s car broke down in the middle of the road. In one video, uploaded to Instagram by a passerby, the pop star is hovering outside his gullwing Mercedes-Benz SLS AMG and waving oncoming vehicles around the $200,000 obstacle. He notified the East Hampton Town Police, which in turn dispatched officers and a tow truck. Before the mechanical failure, he was reportedly going to church — church! Imagine Justin Bieber as a pious traffic cop concerned with road safety. Even God must be stunned by this transformation. Not that long ago, if one of his pricey whips had stalled in public, Bieber would’ve smashed the windshield with a tire-iron before mooning passing motorists. Back when he was urinating in a bistro bucket and egging a neighbour’s mansion and attempting to sneak a monkey without travel papers into Germany, Bieber was not as he appeared in the Hamptons this week: calm and responsible. He was unhinged. If the words “Justin” and “car” were jammed into the same headline, there was a 95 per cent chance the tragicomic tale was about drag racing or careless driving or a hit-and-stay accident with a paparazzo. The kid who started out as a YouTube phenom, the tween heartthrob with the cherubic face and real musical chops, seemed to be on a fast track to the big house. A fall from grace was all but inevitable. You could feel it in the tabloid blotter. But those days are increasingly a fuzzy memory. 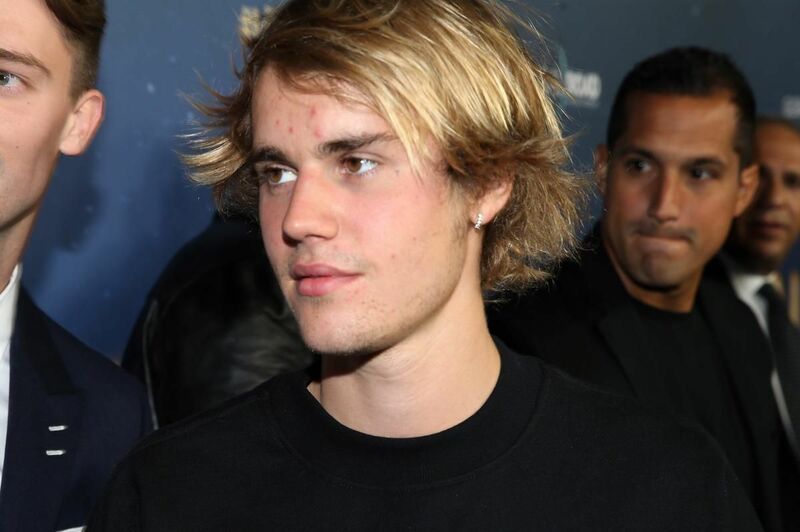 While the new Bieber still looks like a scruffy vagabond who is capable of guzzling sizzurp before starting a violent club brawl, he is now on a slow track to a big turnaround. Against all odds, Bieber has pulled it together. And if this lasts, it means he is also a man of his word. While the repeated use of “sustainable” made him sound like endangered cod, it turns out Bieber was swimming with sincerity. He had gazed into the abyss of celebrity malfeasance and winced at his antics. He hated what he had become. He wasn’t ducking responsibility. He was climbing on top of it. And now when I gaze into my Bieber crystal ball, I don’t see mug shots and international incidents. I see wedding vows and car seats in the back of a supercar. I see Bieber erasing the folly of his past by striving for a better tomorrow. I see him eventually ferrying his kids to little league and coming home with anniversary roses. I see Bieber and Baldwin — or maybe it’ll be Selena Gomez at the altar — hosting dinner parties with other shockingly boring married couples who nibble on canapés while debating politics, private schools and luxury vacations. I see Bieber removing his tattoos and giving Bible lessons to troubled youth. I see him knocking it off with the PDA — in the last two weeks Bieber and Baldwin have made out in public more times than Nikki Bella and John Cena have broken up — and gradually protecting his relationship inside a cocoon of privacy, where publicity is no longer craved and growing old together is the unspoken goal. And you know what? We should all be happy for him. Sure, I may professionally mourn the loss of a reliable crap-disturber. If Bieber isn’t spitting on fans or vandalizing foreign monuments, if he isn’t getting into trouble, this will likely cost me six to eight columns over the next five years. But while a part of me may secretly wish for drama between Bieber and The Weeknd, or an incident in which Bieber is arrested for dropkicking a sports mascot, there shall be no requiem for a bad boy, not today. Justin Bieber was a lost soul adrift in a playground of material excess. Fame didn’t sneak up on him — it took him hostage. He was a superstar teen with unlimited potential and resources, but dubious supervision and guidance. Throughout his meteoric rise, Bieber’s life was going sideways. Now he’s altering the trajectory. At long last, now he’s finally in control. READ THIS BEFORE YOU READ THAT. GET OUR BOOKS NEWSLETTER TO YOUR INBOX.